Pure, genuine essential oils have become my life. They are involved in every aspect of it, and they will be till my last day. They are bringing my wellbeing to new heights, helping me clear emotional blockages, and bring my soul back into balance. They have found their way into every room of my house and into every purse and backpack. Their influence on my life got me so excited, that I turned my passion into my mission and I now teach about how to use them in Asia, Europe and America. Let me give you a little introduction to essential oils. 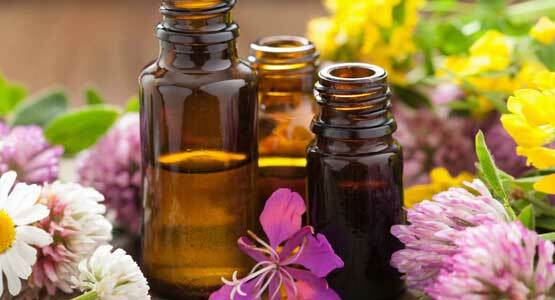 Plants contain complex and powerful substances known as essential oils. They are aromatic liquids derived from shrubs, flowers, trees, roots, leaves, barks and seeds. Their distinctive components defend plants from insects, harsh environmental conditions, and diseases. They are also vital for a plant to grow, live, evolve and adapt to its environment. Essential Oils contain hundreds of chemical constitutes and they are highly concentrated, which makes them more powerful than herbs. Referred to as the essence of the plant, they are really the “life force” of the plant, much similar to the blood in our body. Essential oils also provide a dramatic increase in the electrical potential of our human bodies. Most amazingly, besides all the other benefits for our physical body, pure, genuine essential oils, which contain various frequencies of sunlight, have the ability to transform limited experiences and beliefs stored in our bodies as cellular memories! Essential Oils have been used throughout time dating back to 4500 BC. From perfumes and aromatherapy to cooking and medicinal purposes, essential oils have been used in everyday life for centuries. In modern days, research shows, that pure essential oils can provide similar benefits to humans and animals that they give to plants. Unfortunately, many oils, touted as essential oils, are derived with harsh chemicals, diluted, or copied and produced in a lab. Cheap copies bring not the desired results and are even toxic and hazardous to our heath. It is therefore imperative to take great care in choosing the highest quality. Young Living Essential Oils are consistently the purest oils I have found, and are the only ones I use. They have the optimal blend of plant constitutes to ensure maximum potency and purity. In over 20 years, Young Living has become the world leader in essential oils and essential oil infused wellness products. Having their own farms all over the world that you can visit, and through which the propriety “Seed to Seal” quality process was established, gives everyone interested a close look, on how a true essential oil is made. This and the results I am witnessing since many years, build the trust in this wonderful company.